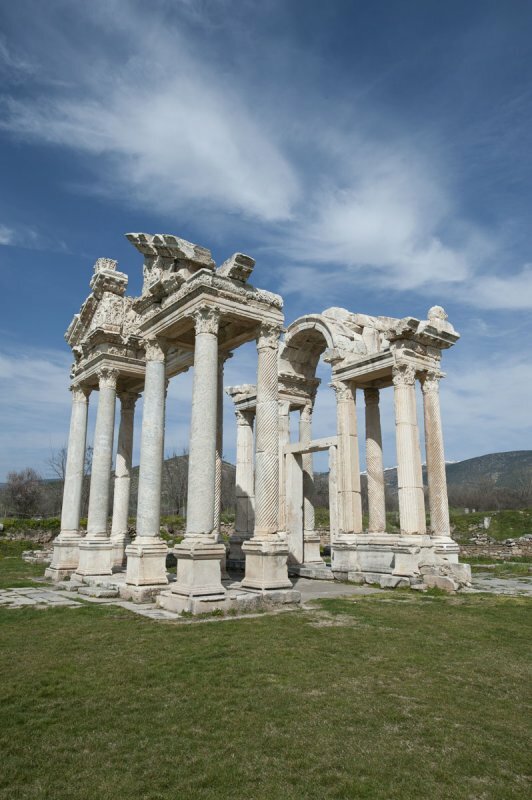 The Tetrapylon was a monumental arch that consisted of four rows of four columns each. It was eredted in the 2nd century AD and probably formed part of the processional road to the Temple of Artemis. I have two sets of pictures, from two visits.